Books will ship after October 30, 2010. 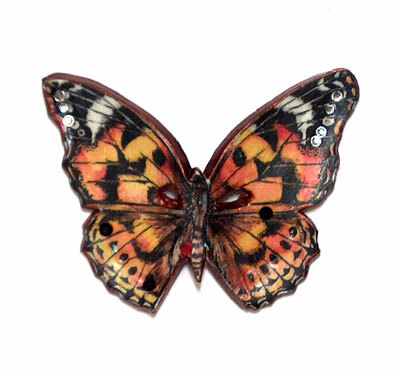 This is one of several incredible miniature masks made by Texas polymer clay artist Patty Barnes. 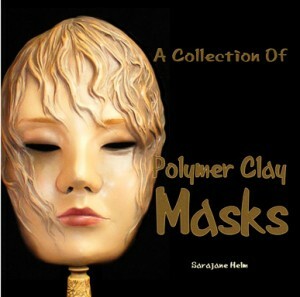 The front cover mask is by sculptor Katherine Dewey, and is a full sized mask on a handle. The mask fits inside a 3 inch square, and is one of more than hundreds of little wonders in this collection of polymer clay masks. 150 artists contributed their work to put it all together. 2 comments to Pre-order Your Autographed Copy Now! How much is it?? I love masks and am very interested in this collection?!?!?! The book is $30 plus shipping. Thanks for your interest~I love masks too!